2014 Craft Fair Geelong 19-21 September! Will you join me at the 2014 Craft Fair Geelong? The GEELONG CRAFT FAIR is on this weekend from Friday 19th until Sunday 21st September 2014! I’m really looking forward to this event, which is being held on the historic Cunningham Pier at the beautiful location of the Geelong Waterfront. 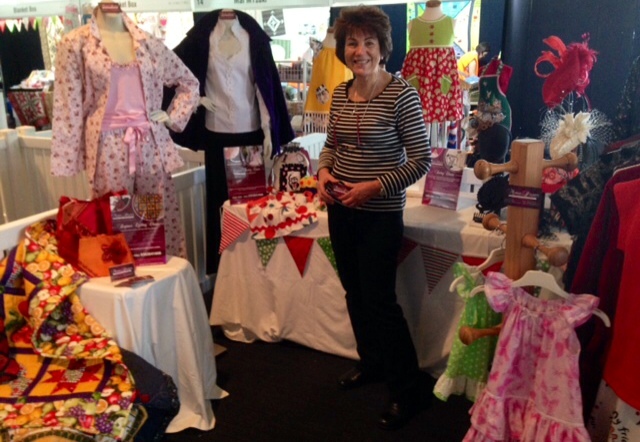 At the 2014 Geelong Craft Fair there will be sewing, quilting, haberdashery, knitting, DIY, dressmaking, jewellery, kids workshops, gift ideas, latest trends and special guest speakers! I’d love you to come and visit me there as I will have a sewing, quilting and millinery stand for the 3 days and I’m also a special guest speaker where I will share sewing tips, sewing demonstrations and more! I have also just finished a fabulous term 3 of sewing classes here at Rosewood Cottage and I’m taking bookings for term 4 now! If you would like to join us here at Rosewood Cottage for some fabulous sewing and creative activities, then please check our book a class page CLICK HERE for all the classes we have on offer! Positions fill fast please don’t miss out! For those of you who are not in the Geelong area – please stay tuned as we will share with you the highlights of the craft fair in our next newsletter coming your way soon!